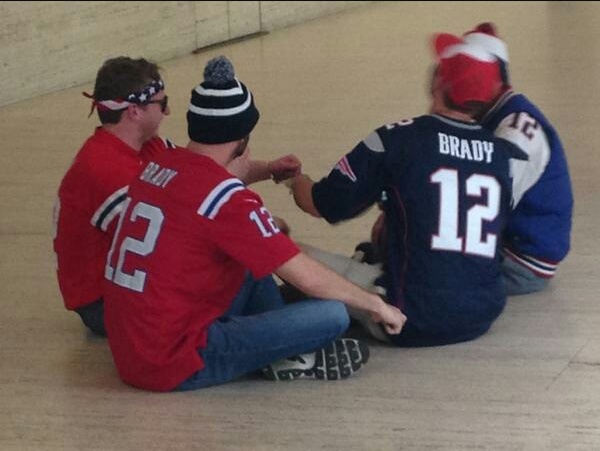 WAY TO GO BRADY FANS: Total of Four Show up in Protest | "IT'S A STEELERS WORLD"! A group of four. 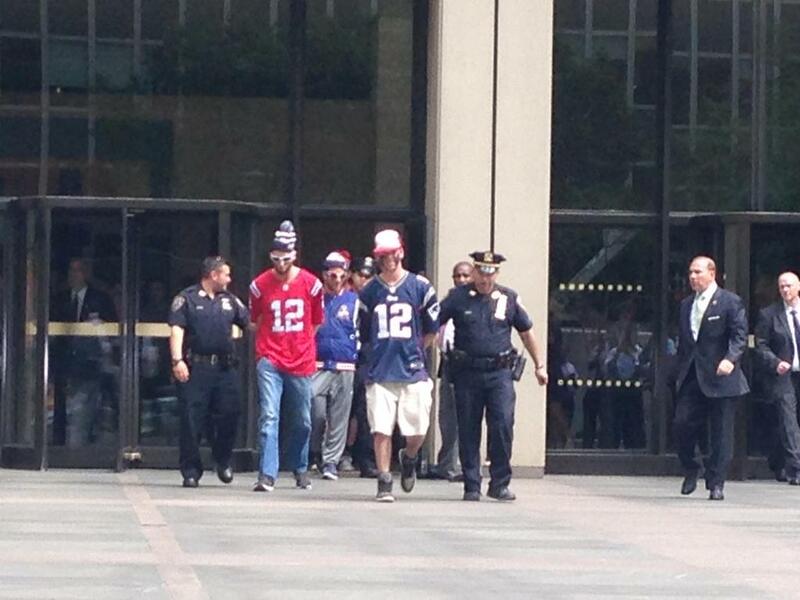 Yes a whole whopping four New England Patriots fans showed up at the NFL offices in Manhattan on Tuesday, just a day after punishment was handed down to Patriots quarterback Tom Brady and the team for their roles in the Deflategate scandal. Brady was suspended four games without pay, while the team was docked a first and fourth-round pick and fined $1 million. Showing up was peaceful enough. 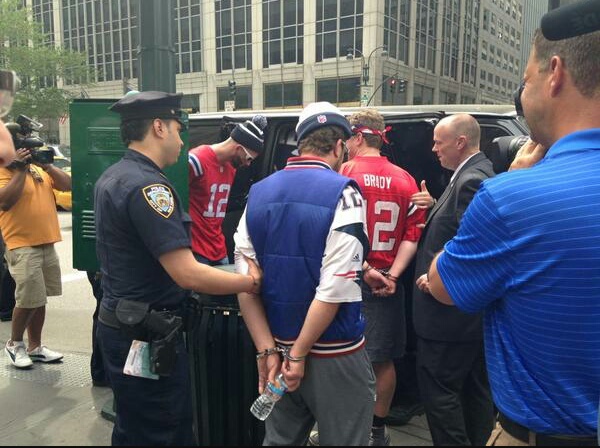 The Brady supporters (is NFL Network Analysts) handcuffed themselves to each other. Unfortunately, they left in completely different handcuffs. 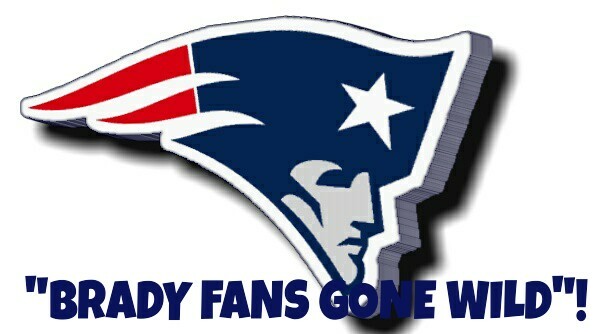 Congratulations Patriots/Brady fans. I’m sure that Tom, Robert Kraft or Roger Goodell will be paying your enormous $1000 fine.